When I’m making burgers for large family freezer meals, I always try to make some of these parmesan turkey burgers while I’m at it. The only thing better than having Hearty Freezer Burgers ready to go is having another kind of burger in the freezer, too. Keeping my freezer stocked with things like burger patties is such a help on those days that run long or if we need to leave for activities in the evening. Having these turkey burgers available means I can finish up our read-aloud for the day while supper cooks in the oven with very little attention from me. The clean-up is easy and the whole family loves the combination of parmesan and garlic in these. If you need a change from the usual thick beef burger, try these parmesan turkey burgers. I think your family will agree that they can hold their own against beef any day! Parmesan and garlic combine to make these turkey burgers even more delicious than you might expect! Mix ground turkey with cheese and spices. Layer between sheets of freezer paper or parchment paper and flash freeze. Store in freezer bags until ready to cook. To cook, bake at 375* for 30 minutes. Flip and cook up to another 15 more minutes until done. Per USDA guidelines turkey burgers should reach an internal temperature of 165 degrees. You can use a handy, inexpensive digital thermometer to check temp. 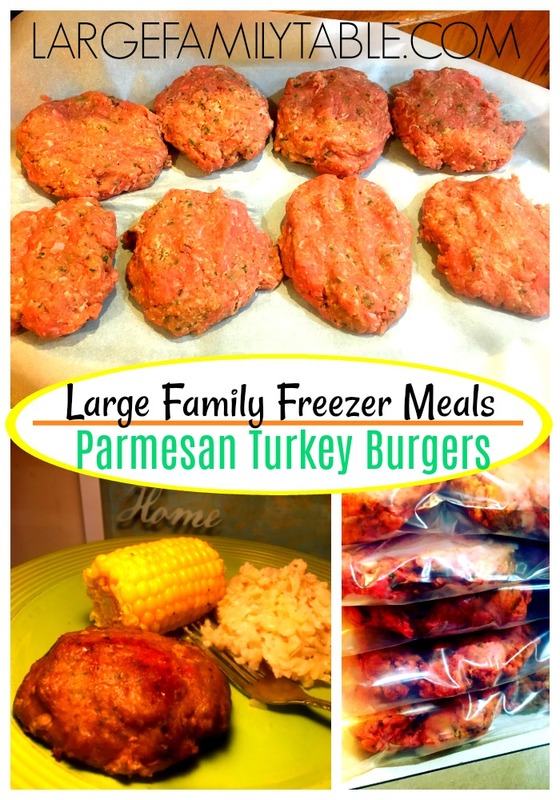 You can SEE me cooking these frozen large family style Parm Turkey Burgers recipe in my recent vlog, Large Family Cook With Me | + How to Make Instant Pot Brown Rice! 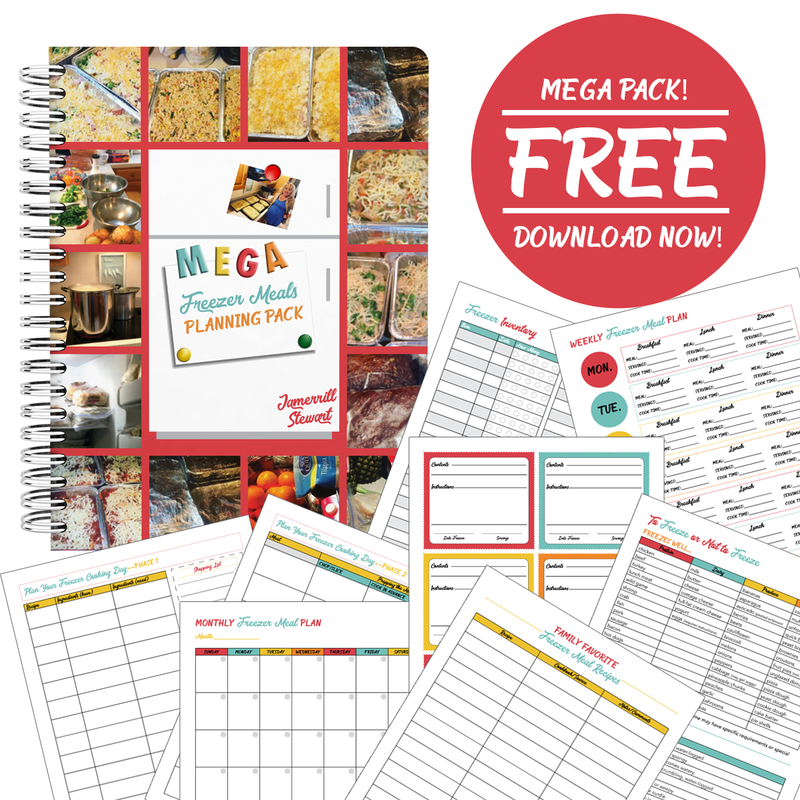 FREE MEGA FREEZER MEALS PLANNING PACK! 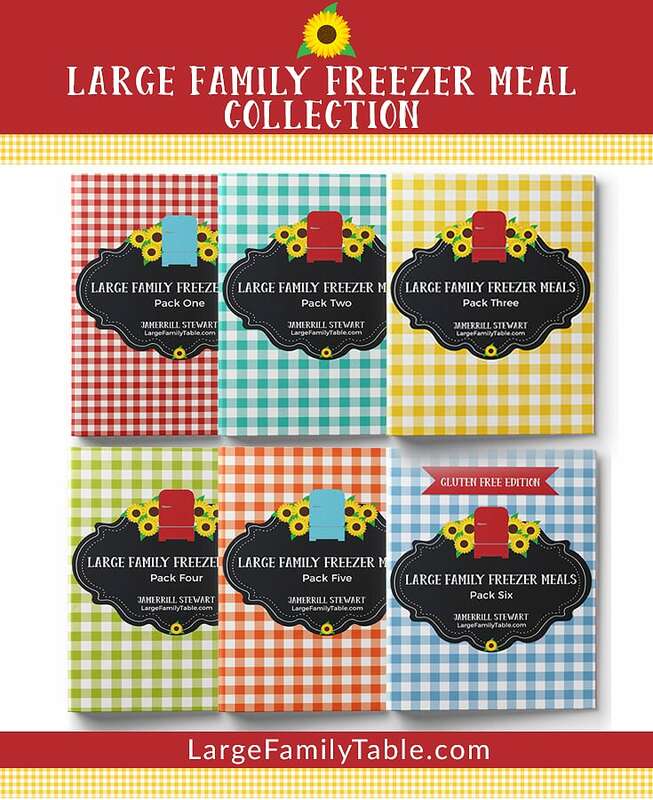 Sign up for your free Mega Freezer Meals Planning Pack here! 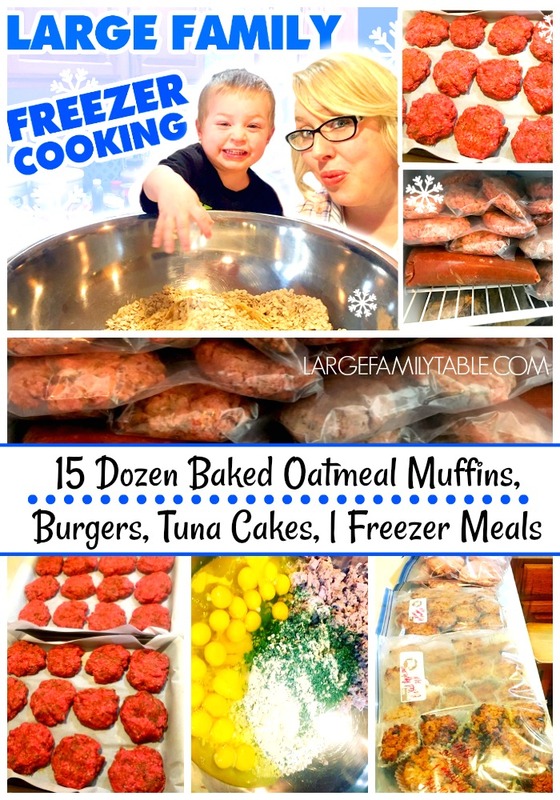 See these Parmesan Turkey Burgers in action here on Large Family Freezer Cooking: 15 Dozen Baked Oatmeal Muffins, Burgers, Tuna Cakes, | Freezer Meals!